The Milwaukee Bucks are keeping their eye on their first round draft pick from last month. Newly appointed head coach Larry Drew traveled to Estonia this week to watch eighteen year-old Giannis Antetokounmpo in his fourth game of the FIBA U20 Basketball Tournament with the Greek national team. The youngster didn't miss the opportunity to impress his future coach during the game, earning 12 points and one assist in 30 minutes of play. Drew stayed on into the next day to watch the team defeat Montenegro, his acquisition racking up another 12 points and 7 rebounds. On offense, Antetokounmpo ranks in the top-20 tournament-wide in every category. Antetokounmpo's defensive showing against both Croatia and Montenegro was the real treat for Drew, however. Antetokounmpo has blocked at least one shot in every game of the tournament, managing six in the game against Croatia alone. He has the most denials of any player participating. He has been spectacular off the defensive-glass, as well. Grabbing 14 rebounds against Croatia, and another seven the next night against Montenegro, Antetokounmpo brought his average to nearly seven per-game. 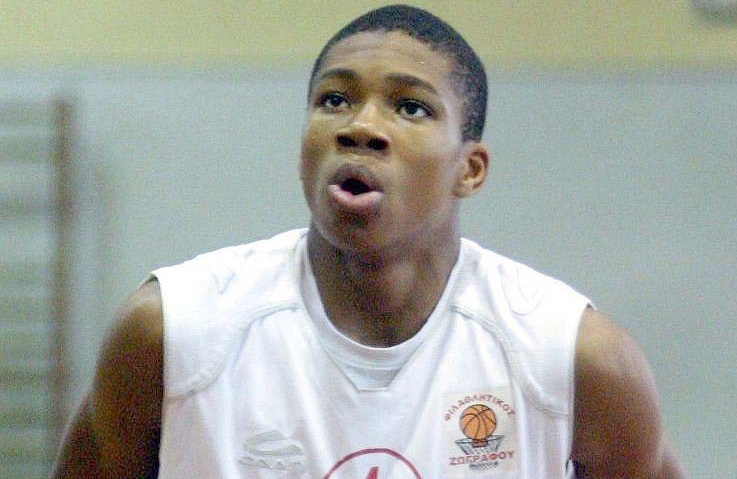 Antetokounmpo's efforts have helped Greece dominate the opening two rounds of the event. The team is undefeated mid-way through the second-round, having beaten Lithuania, Germany, Serbia, Georgia, Croatia, Montenegro, and Turkey along the way. Latvia is the only other team without a loss in the tournament. The trip to Europe is a small hiatus from Drew's more pressing matters back in the States. The Bucks have begun the annual Summer League in Las Vegas on a high note, winning against the Nuggets and Pelicans in their first two games. Second-year forward John Henson has been the highlight for the team to start the five-game series, putting-up 19 points against Denver on Saturday. He sat out Sunday with a sore groin. Henson is expected to be a major part of the team's young and up-coming roster. A candidate for a starting spot next to Ersan Ilyasova in 2013, critics anticipate a great increase in minutes and presence for the forward among the veterans peppered in among the starters.